The Dr. Irving and Phyliss Snider Campus for Jewish Seniors – the Louis Brier Home and Hospital and the Weinberg Residence – held a party on May 9 to celebrate National Nursing Week. 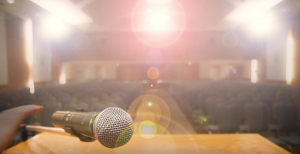 Louis Brier chief executive officer David Keselman, at the helm for nine months now, initiated the celebration – the first time in its history that Louis Brier has marked the occasion. 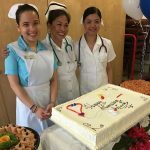 There are plenty of reasons to celebrate the profession daily, but National Nursing Week presents the chance to give back to these integral members of society. International Nursing Day, May 12, is the anniversary of the birth of Florence Nightingale, who is widely considered the founder of modern nursing. In coordination with Angela Millar, executive leader, resident care services, at Louis Brier, the festivities honoured and expressed appreciation and affection for the nurses who support and care for the home’s 215 residents. The continuum of care includes assisted living and multi-level care. Louis Brier provides 24-hour nursing services for residents who require personal assistance or full nursing support, and also has a separate unit for those residents living with moderate to severe dementia. 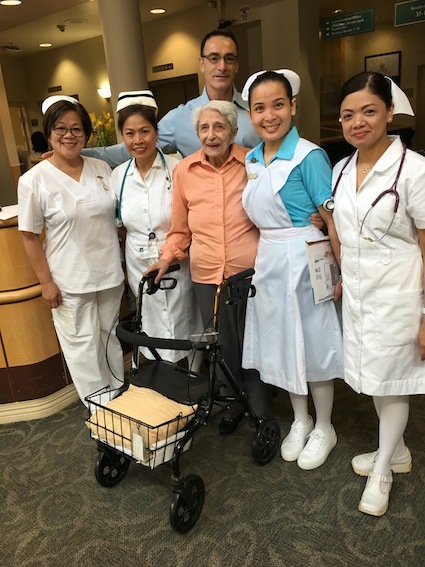 Louis Brier’s goal is “excellence in geriatric nursing care.” As a teaching facility, Louis Brier regularly hosts students from accredited nursing schools, which helps them keep on top of current best practices. The home’s commitment to resident and family-centred care was evident throughout the facility. The entry hall was splendid with posters and banners created by residents and staff. The nurses were dressed in their formal white uniforms, with black, navy blue or green stripes on their caps. They were excited and pleased to be singled out, paid attention to and appreciated for their service. Millar gave out 30 certificates honouring their years of nursing, the longest being 39 years of service. Three nurses were given special consideration with a bouquet of flowers. In every corner, there were expressions of affection, cooperation and goodwill, hugs, smiles and group photos. Dolores Luber, a retired psychotherapist and psychology teacher, is editor of Jewish Seniors Alliance’s Senior Line magazine and website (jsalliance.org). She blogs for yossilinks.com and writes movie reviews for the Isaac Waldman Jewish Public Library website.